And here is a gameplay trailer. WOW! Very impressive work. You did this entirely on your own, assets and all? The variety will definitely keep gameplay interesting. Arteidis mode is, for a sci-fi fan like myself, the most interesting. I hope you further develop it and make it a primary mode. The only criticism I can think of at this stage is the scale of units versus buildings versus terrain features. Boats being as large as cities is something I am used to from Civilization games, so I don't mind that so much, but the size of your infantry makes them appear as giants. I think the best solution might be to scale up everything but the infantry, especially in terms of elevation, and increase the texture resolution and model detail accordingly. Eye candy never hurts, especially when players are going to be spending hours staring at what is essentially a digital game board. 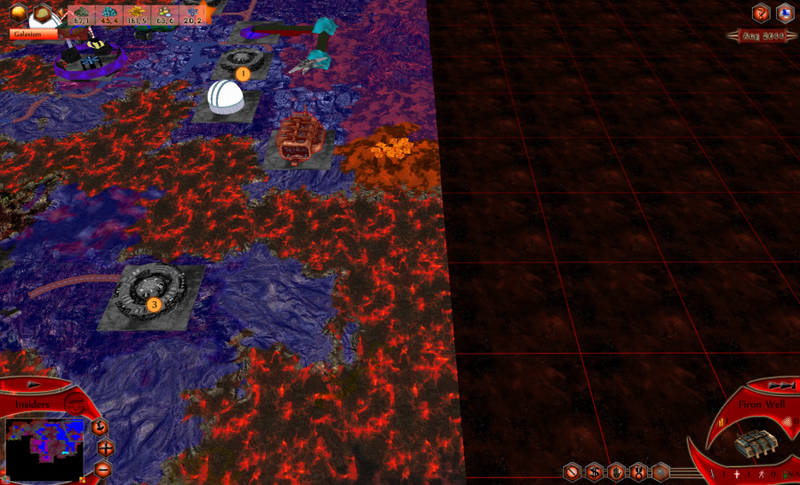 RTS is one of my favorite genres and am glad to see more games in that vein built using Ogre. I will watch this project great interest. Did you do this all by yourself? You've been super-productive. How long ago did you start on it? Good video too, that's an interesting accent you have there, I couldn't pick it though I like the terrain generation when you were making that island, the unique coastlines are a nice touch. What libraries are you using? This may be the best game I've seen that uses Ogre. Awesome work you've done. Now that's free time coding Congratulations! I've done lots and lots of Blender work. Looking for a project. Hit me up if you want free help. I'm worth it (free -- LoL) and this is *exactly* the project I want to work on (I am also a history major). Let's make this real and real beautiful, and show Firaxis what civ V should have been! Crazy you posted this yesterday. I rarely if ever visit these forums any more. to be honest I didn't expect such positive feedback at all Thank you very much. I was working on this since beginning of 2009, mostly during my free time and circa one year full time. It is loosely based on a board game I invented when I was 12, however it was massively extended and parts of the game were inspired by other games. Because I am a big fan of Civ 4, the graphics of Civ 4 was like a unreachable model for me, but I was trying to have it as good as I possibly can. Even it looks like Civ 4, it doesnt have much in common with it (from the rules' point of view). 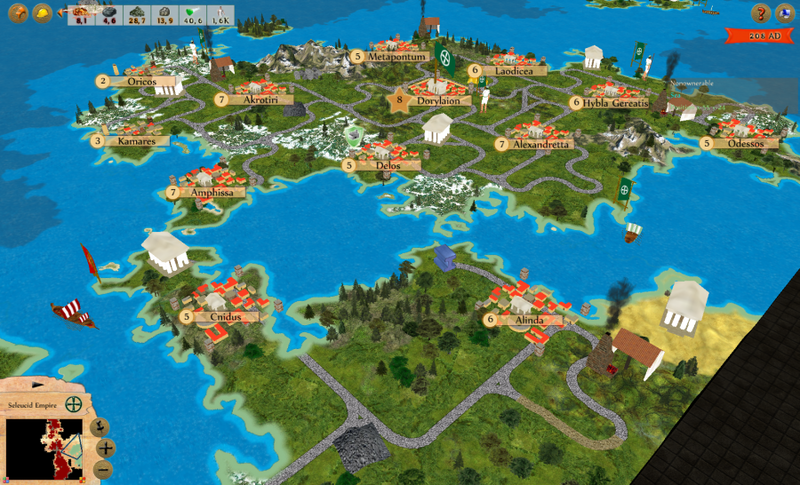 The primary mode is Second world war, however to test the possibilities of mods, I created Ancient Rome mod which is partially based on civ 4 with Aggressors' way of playing. The Arteidis mod was just a deep test of mod support. All the special rules are in script files, which confirms me in big flexibility of the game's core. I didn't want to invest money to the project so all assets are public domain or created by me. I am not a professional 3D designer and I didn't have time to create unit animations, which would hugely improve the user experience. Unfortunately I don't have time to make it to such details. I am now in the stage where I should decide what will be the destiny of the game - trying to find a publisher or another way to go. areay wrote: What libraries are you using? I don't really use too many libraries. I use MOGRE and Miyagi and CSScript for scripting. No physics, etc. Hi NeOmega, thank you very much for the offer. If I find a way how to proceed with the project, I will definitely contact you. As I said - animations are the key to make it better. However too much time was already invested and it is now necessary to find out what way should the project go. holocronweaver wrote: The only criticism I can think of at this stage is the scale of units versus buildings versus terrain features. Boats being as large as cities is something I am used to from Civilization games, so I don't mind that so much, but the size of your infantry makes them appear as giants. I think the best solution might be to scale up everything but the infantry, especially in terms of elevation, and increase the texture resolution and model detail accordingly. The texture resolution is much better than the video shows. It has 512x512 images per tile. I am not sure what do you mean by "terms of elevation". Can you explain it to me, please? ... I am not sure what do you mean by "terms of elevation". Can you explain it to me, please? Currently the terrain is rather flat. 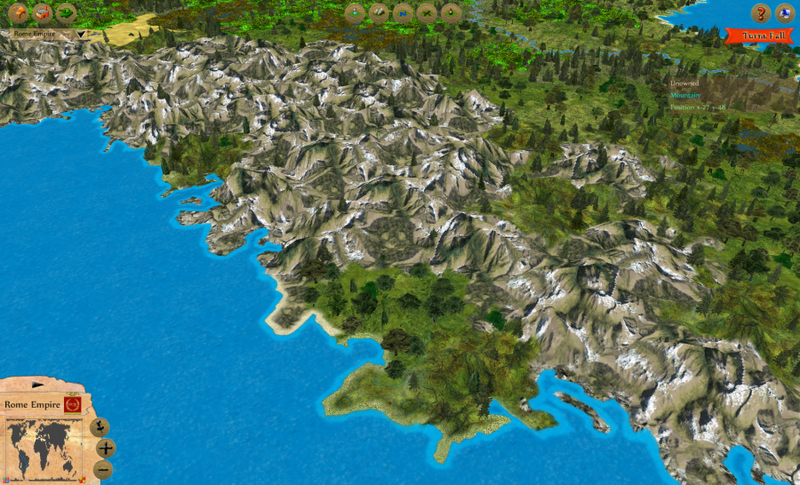 If you increased its maximum and minimum elevation, making mountains reach closer to the sky and accenting hills, the game board will give a better illusion of scale. This has a large impact on the 'wow' factor and initial impact the game has on perspective players. I think it would be best to achieve this by keeping the units at their current size, increasing the size of tiles, and accordingly increasing the size and maximum height of terrain features and buildings. While Civilization 5 has its problems, it did a fairly good job of creating this illusion of scale I am referring to. It is not important that scale be absolutely accurate, but relative scale should be (mostly) obeyed. That is, the volume of city > boat > catapult > soldier. Civ5 achieves this primarily by compensating size with number. Trees are individually tiny yet forests are dense and span multiple tiles, which gives a false sense of size that makes you perceive plant life as 'big'. 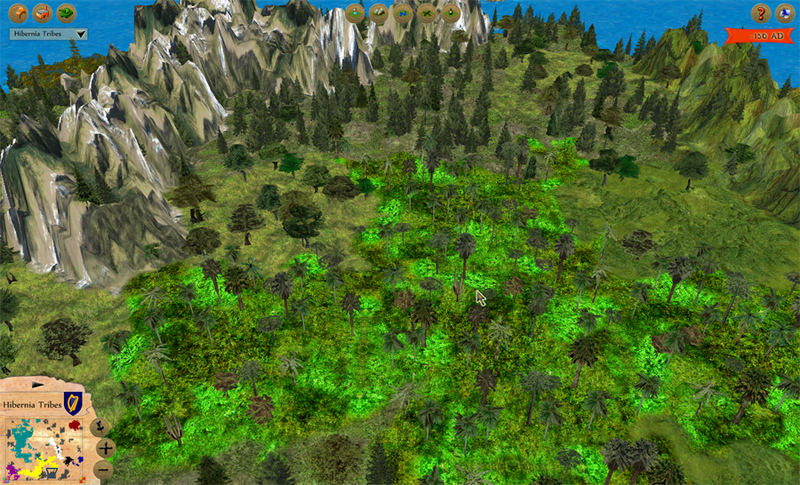 Units are larger than trees and are clearly visible primarily because there are multiple of them per tile. This Civ5 screenshot demonstrates how this all fits together. I think they could have gone a few steps further and made the cities, hills and mountains a bit taller and valleys a little lower. Another important point is use of shadows and lighting to help give the impression of elevation, as is done in the Civ5 screenshot where the mountains cast long shadows. Currently it looks like your game does not have shadows, so I am guessing this is an upcoming feature. Looks very impressive. Great job. holocronweaver wrote: Currently the terrain is rather flat. If you increased its maximum and minimum elevation, making mountains reach closer to the sky and accenting hills, the game board will give a better illusion of scale. it looks "flat" too, but that is how it really looks like. holocronweaver wrote: It is not important that scale be absolutely accurate, but relative scale should be (mostly) obeyed. That is, the volume of city > boat > catapult > soldier. Civ5 achieves this primarily by compensating size with number. Yes thats true. I was considering that, but that time it was easier for me to go this way, instead of having more instances of the same model. Anyway the relative scale would be nice to have. holocronweaver wrote: Another important point is use of shadows and lighting to help give the impression of elevation, as is done in the Civ5 screenshot where the mountains cast long shadows. Currently it looks like your game does not have shadows, so I am guessing this is an upcoming feature. Yes, you are right. Currently there are no shadows at all. It is on my TODO list, unfortunately there are already many things:-/ I should consider the perfomance too, because the map rendering is pretty resource-consuming. I have already tried that before, but it didn't look natural, because one tile had its peaks really high and the second tile was really low. Do you happen to have any screenshots from your experiments? I would be very interested to see how this looks in practice. It is the same with "plastical maps". When you have a look at this (img) it looks "flat" too, but that is how it really looks like. I have not looked at real plastical maps in years. Brings back so many childhood memories. While the look of plastical maps is cool and possibly being to scale, if you place a figurine on the map the scale is completely dissolved. To compensate, games tend to cartoonishly exaggerate scale differences a bit to create a big impact on potential players. It may seem like a superficial point, but this graphical illusion really does help impress people and increase your player base. There must be some happy medium between having terrain elevation differences too great and too small. holocronweaver wrote: Do you happen to have any screenshots from your experiments? I would be very interested to see how this looks in practice. As you can see it doesnt look natural. Of course it might be done better - better UV mapping would make it nicer, however the difference between mountains and the adjacent tiles is too big. There might be a solution - to gradually raise the terrain height in adjacent tiles (i.e. when mountains are adjacent to forest, the forest height would differ to forest height not close to mountains). This would make it smooth, but it seems like an over-engineering to me right now. holocronweaver wrote: There must be some happy medium between having terrain elevation differences too great and too small. I totally agree, but what is the happy medium - I mean do you have another example, where just one instance of unit is used (comparing to Civ 5 where multiple unit instances are used) and it looks natural? I was playing with this and what I have seemed to me like a satisfactory tradeoff. Why would the players download a turn based strategy? Certainly not to enjoy the realistic scale proportions of the terrain and various units. It's very subjective after all. Not worth spending much time if you ask me. Super polished core mechanics and balance will pay off tenfold compared to that. It's great to see turn-based games aren't dead! And to see there are still some Civ fans out there. Great work on this. I can tell there has already been a lot of attention to detail. If you're feeling burned out on the game (by so many hours solo) and want to see more progress, have you considered open-sourcing it for more community involvement? Or are you thinking of a commercial direction with it? 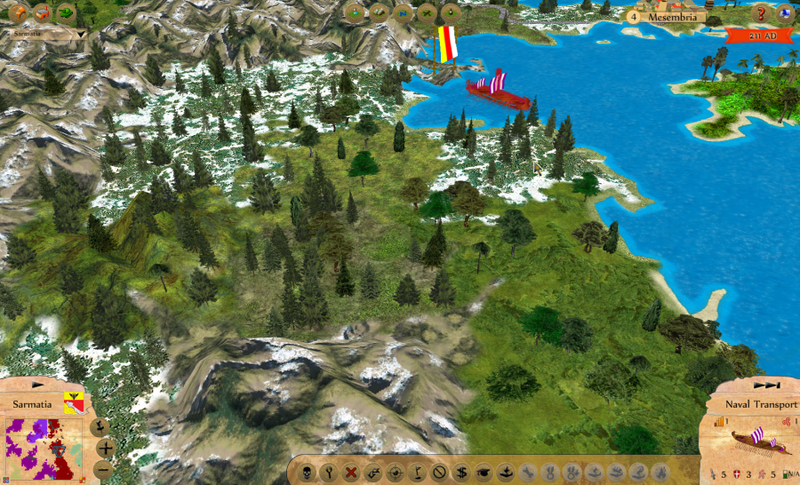 the whole map will look unnatural, the trees are "too big", the buildings in the city are "too big" and the units are "too big". Perhaps 1.5 scale the mountains. The 2x is too steep, but 1.5 may not be, as they are though, they do look too flat. I prefer the 2x to the normal, however. (in case anything was lost in translation: The point is this is game map, and things will be out of scale for the sake of playability, therefore for the sake of aesthetics, other things will need to be out of scale as well). But that is small stuff. I like how you have a petrol system using oil as a base, and I like how cities have to be customized to build units, I assume that means they have to have multiple buildings to build a unit. God, I would hate to see this thing slip into obscurity, but it probably is not ready for kickstarter yet. P.S. What happened to Florida? I agree that the mountains are too steep. You could increase the size of the tiles themselves as well as the maximum elevation. That would remove the need for the gradual rise in elevation across tiles you suggested. However, I think your idea might look the best of all possible choices. I do not recall any other grid based computer game using gradual elevation changes. Would be really neat to see. Nothing comes to mind I am afraid. Not at this scale anyways (XCOM, Final Fantasy Tactics, Fallout Tactics, etc. do it well at smaller scales). It has been quite a few years since I played a grid base game with scaling issues that used a single unit instance approach. I tend to think the easiest solution is to switch to multiple unit instances. Another option is to increase the fineness of the tiles, making units larger that soldiers take up multiple tiles, though this would likely require far more work on your part. If I come across a game that managed this problem well I will let you know. You may want to poll user opinions on whether the map terrain is too flat via your website. After all, they are the ones who are going to be playing. bstone wrote: Why would the players download a turn based strategy? Certainly not to enjoy the realistic scale proportions of the terrain and various units. It's very subjective after all. Not worth spending much time if you ask me. Super polished core mechanics and balance will pay off tenfold compared to that. I definitely agree that gameplay is paramount, in any genre really, but graphics are important too and in grid based games about 50% of the graphical appeal comes from the game board. Like it or not, a pleasing aesthetic is crucial for a game to become a commercial success. holocronweaver wrote: I definitely agree that gameplay is paramount, in any genre really, but graphics are important too and in grid based games about 50% of the graphical appeal comes from the game board. Like it or not, a pleasing aesthetic is crucial for a game to become a commercial success. Yeah, but it's so subjective. I can see people sticking to a game with addictive gameplay even if it lacks some eye-candy. Can't say the same about the opposite. Herb wrote: If you're feeling burned out on the game (by so many hours solo) and want to see more progress, have you considered open-sourcing it for more community involvement? Or are you thinking of a commercial direction with it? well, I would like to go with commercial direction, because too much time was already spent on it. However, because I am not from gaming domain, it is kind of hard for me to push my way through it. If nothing works, I will release it as open source, but it is not my intention now. NeOmega wrote: God, I would hate to see this thing slip into obscurity, but it probably is not ready for kickstarter yet. NeOmega wrote: P.S. What happened to Florida? holocronweaver wrote: I agree that the mountains are too steep. You could increase the size of the tiles themselves as well as the maximum elevation. That would remove the need for the gradual rise in elevation across tiles you suggested. However, I think your idea might look the best of all possible choices. I do not recall any other grid based computer game using gradual elevation changes. Would be really neat to see. I will put it to my TODO list. I would like to do that - it would certainly increase the reality of the map, but right now it is lower on my priority list. Nobody would donate money to a Civ IV copy. So if you are going to put it on kickstarter, you are really going to need to show how and why it is different from Civilization IV. I know you have some different mechanics, but your whole sales pitch would have to be a demonstration how aggressors is a whole new game, with a whole new strategic, tactical, economic and diplomatic system... ...and an AI that can handle it all. I saw and heard some differences, but not enough to convince me it was something that could not just be modded in civ IV. From what I've seen on Kickstarter many retro-looking retro-gameplay projects succeeded with flying colors. Quite the opposite to what you said. I think both bstone and NeOmega make good points. At least to me, it is not obvious that this game would succeed on Kickstarter as is. It does bear a strong resemblance to to CivIV, both in terms of graphics and gameplay. I have seen a number of CivIV-like projects on Kickstarter - it may be worth checking out how they did. That being said, I personally would help fund this game on Kickstarter if the rewards are affordable. I suggest $10 (USD) for the minimum pledge required to receive a copy of the game. Certainly no less than $5, and no more than $15. NeOmega wrote: Nobody would donate money to a Civ IV copy. So if you are going to put it on kickstarter, you are really going to need to show how and why it is different from Civilization IV. I know you have some different mechanics, but your whole sales pitch would have to be a demonstration how aggressors is a whole new game, with a whole new strategic, tactical, economic and diplomatic system... ...and an AI that can handle it all. The whole principle seems to me different, but I got your point - it needs to be clearly demonstrated. To be honest, I am not sure I am able to polish it more. I am not OGRE expert nor graphic designer. The only thing which comes to my mind and I am able to implement is animations. I tried to google it and search on Kickstarter but I wasn't lucky. Do you remember any of these Civ IV projects? From what I've seen, this looks kickstarter or greenlight ready as a beta. I think there would be plenty of people donating but I would layout a list of where the donations would be heading and for what purpose ( e.g. artwork ), goodluck! I have done little bit polish and made few screenshots, if you are interested. I tried to increase the height of mountains little bit.